This is a simple way to "beat the cheat" and do it without much guilt. Stick with a slice a day + keep that chocolate guilt away! In a medium bowl, mix together the bananas, eggs, vanilla, syrup, + coconut oil. In a separate bowl, mix the flour and baking soda together, then slowly add it into the wet ingredients. Mix well. 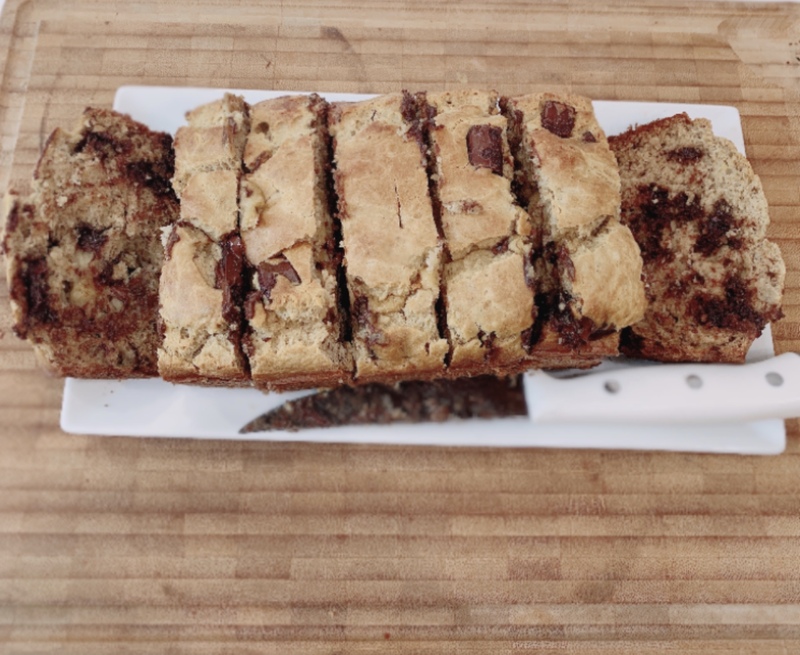 Add in the chocolate chips, stir, + pour into a lightly greased bread pan (8 1/2 x 4 1/2 inches) Bake for 35-40 minutes or until a fork is inserted and comes out dry.